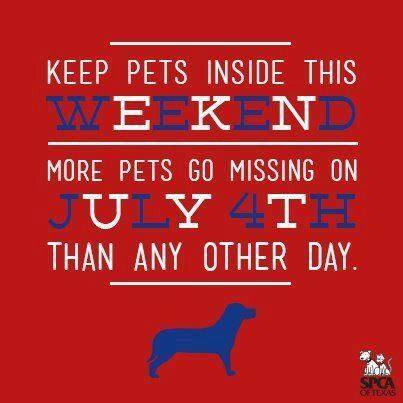 More dogs go missing around the Fourth of July than any other day of the year. The reason is simple: dogs don’t understand fireworks, they just hear the explosions, and many run as fast as they can in fright. In suburbia the problem is compounded by the fact that as soon as the dog may be far enough away from the original source of noise, they are near another, meaning many of them run for miles and miles. We talked to several chefs and noted food personalities and came up with a list of several great tips for every pet owner. The most important is to have identification on your dog at all times. Your dog may never go outside off a leash but we’ve heard of cases where dogs bolted out doors when guests arrived or even through screen windows. Having ID on them helps get them back to you quickly. Fireworks going off tonight and you don’t have an ID tag? Grab a sharpie and some duct tape. 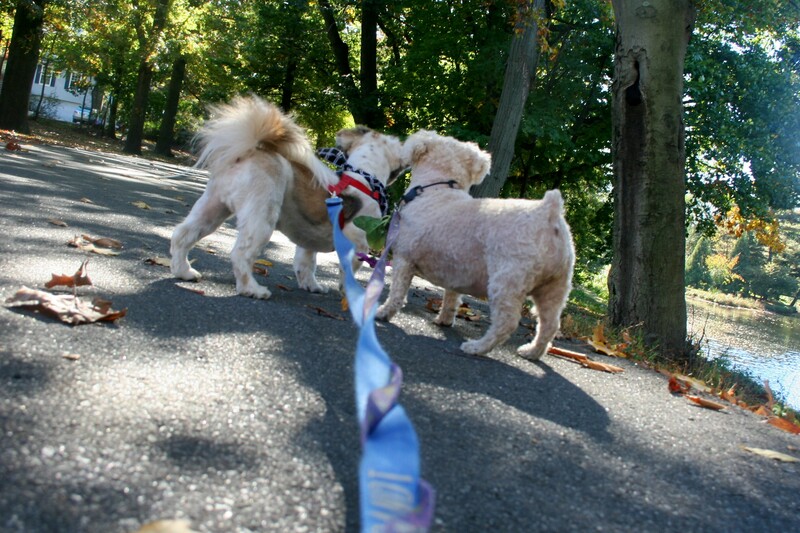 Put your info on the duct tape and wrap it around their collar like one of those annoying tags in t-shirts. Its not the prettiest thing but if your dog gets away from you, you’ll think its beautiful when they are returned. Chef Lance Knowling, of Blujeen NYC, closes all the windows in his home, turns on the A/C, and settles in for some television and plate of barbecue. His dogs usually so focused on BBQ that they don’t pay much attention to what’s going on outside. Anthony Lauro of Anthony’s Cheesecake in Bloomfield NJ takes a different approach: he sings to his dogs during the fireworks. Sure, it helps block out the sounds, but his dog is not that into his singing and winds up burying his head under a blanket for the duration. Carmen Mendez of Xunta Tapas Espana in Caldwell has a senior dog, and like senior people, her dog needs a little extra care. Her dog tends to whimper and shake with all of the fireworks and noise of the evening. Carmen’s best advice in these situations is to hold them and cuddle them, let them know you are keeping them safe. Christine Nunn, Author of the Preppy Cookbook and owner of Picnic On The Square in Ridgewood finds that holding her dog tightly during fireworks does a lot to calm their nerves. A porterhouse steak also helps a great deal she added! Christopher James, the extraordinary head bartender at Chris Cannon’s Jockey Hollow Bar and Kitchen in Morristown gave us two great pieces of information, the first is that his life does not revolve around the bar. 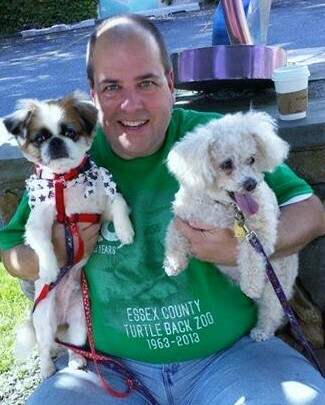 Despite being the best bartender in the Garden State, his life is centered around Remy, his Labradoodle. His trick to keeping his furever friend happy: run the air conditioner, leave out lots of water, and turn every tv in the house to Animal Planet. Amy Eber, chef and author of the terrific food site Crawfish and Caramel, has, at times, had a herd. While in Switzerland, fireworks would be set off all day on Swiss National Day, much to the chagrin of her dogs. She’s now in Walnut Creek California where the threat of wildfires make fireworks illegal and most people know the threat setting them off poses. In the past Amy’s solution to was to close the windows, turn on music. Sometimes turning on fans and even the vacuum to create familiar sounds to drown out the sound of fireworks often helped.